Bahni Turpin and Ron Butler narration helps make each character become fully realized bringing their voices forward. Whether it is the humor that underlies Rita Williams Garcia’s teen at boarding school who is having a conversation with a slave from the past through a bathroom mirror, or the melancholy of Keekla Magoon’s of a girl wondering what could have been after the girl she likes, but didn’t really know, dies in an accident. Turpin and Butler’s versatility makes each story distinctly different and each character their own person. In the category of Literary Fiction & Classics, "Miguel Street" by V.S. Naipaul; published by Blackstone Publishing and read by Ron Butler. In the category of Young Adult Fiction, "The Stars At October Bend" by Glenda Millard; published by Brilliance Publishing and read by Candice Moll and Ron Butler. The vocal dream team of Bahni Turpin and Ron Butler delivers a poignant, funny, and ambitious YA anthology in which the brightest stars in YA fiction showcase a variety of black American teen experiences. A skilled trio of narrators, Simon Vance, Ron Butler, and Vikas Adam, comes together in this one volume to bring listeners three novellas. Butler embodies Trinidadians of all backgrounds in the election campaign that is at the heart of "The Suffrage of Elvira." He maximizes the dramatic personalities to hilarious effect. Sounding convincingly youthful, Butler reads Alexander’s vibrant novel in verse featuring basketball moves, twin brothers, and realistic drama with verve and zest. See the full list of “Apple Presents the Best of 2018” here. A stellar cast of seven narrators takes turns performing this collection of shorter pieces by science-fiction novelist Jemisin. Each narrator drills down to the core of the story, developing believable accents and highlighting the characters' personalities. Read Audible’s original posting here. “Beautiful Country Burn Again” selected as one of the Best Non-Ficiton Audiobooks of 2018. 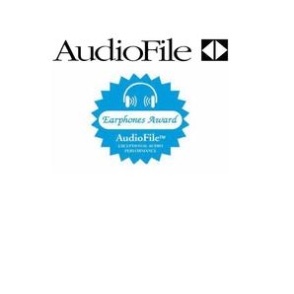 (Audiofile Magazine, December 2018). Read the full interview with Q&A here. Narrator Ron Butler narrates this exceptional audiobook with the laid-back flair and nuanced understanding of a seasoned jazz musician. His diverse phrasing palette is as interesting to hear as it is clarifying, and his performance is never too conspicuous as he conveys the drama surrounding the growth of jazz in America. The full cast that presents this anthology, published in partnership with We Need Diverse Books, does a remarkable job of bringing to life stories by some of today's best-known YA authors… Each narration and production reflects care and attention. Beautifully narrated by Candice Moll and Ron Butler, this audiobook leaves the listener cheering for the unlikely couple. Moll's narration perfectly captures Alice's brain injury, especially in her slow, thick speech. Butler's portrayal of Manny is lyrical, capturing the young West African's cadence as he speaks. Both narrators bring the protagonists and supporting characters to life, drawing the listener into the world of their small Australian town. 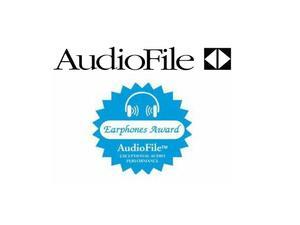 Winner of AudioFile Earphones Award © AudioFile 2018. @RonnieButler, I finally got around to listening to the audio book of They Come in All Colors, and WOW! What a tremendous job you did in your reading of it. Your vocal rendition of all the characters brought them to life in ways I hadn't anticipated. What a treat! Thank you! Tweeted by the author, July 19, 2018. I love it when Ronnie Butler Jr. narrates my audio books. He did books 1, 2 and 3 of the Grangers, and now he's doing Book 4 (Sheppard Granger's story). He always does an awesome job! Posted by the author on Facebook, July 8, 2018. Young Charlie has just lost his father, and narrator Ron Butler clearly conveys his anger and vulnerability... It's fun to note signs of the teasing, loving father Charlie becomes, but Butler mainly focuses on depicting Charlie's emotional growth in this story... Butler also gives meaningful portrayals of the minor characters who influence Charlie. Butler especially connects with the selections he narrates, and his delivery exudes the joy that Alexander infuses into poems celebrating Maya Angelou, Walter Dean Myers, Gwendolyn Brooks, and more. @ben_austen: This is so cool. Audio book version of High-Riser out today and fantastic actor named Ron Butler reading it. I got to pick from 12 readers and I picked right. Thank you @RonnieButler! 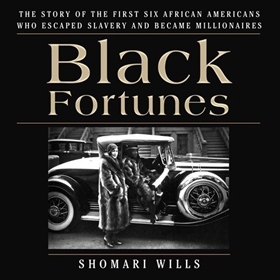 Ron Butler narrates this fascinating biography of the first six blacks who escaped slavery and became millionaires. [His] melodious voice never falters as he delivers stories of the trials, heartaches, and successes of these early millionaires. From the start, narrator Ron Butler reads against type by approaching this audiobook with an expressive, deep, assuring voice, rather than as an authoritarian. He varies his pitch and tone, and adds character voices to make the political and military sources come alive. Narrator Ron Butler's deep, rich voice brings the smoldering passion, wealth, and power of the Granger family to audiobook listeners. Smooth-talking billionaire Dalton Granger can get any woman he wants except for private investigator Jules Bradford. Then they find themselves working together when Jules begins a covert investigation to exonerate Dalton's father of murder. Soon, Jules can't resist Dalton's seductive charm, which feels tailor-made for the swoon-worthy bass and gravelly undertones Butler employs... Through drama, secrets, and lies, Butler skillfully brings this family's journey to a fitting conclusion. J.E.C. Of being in the recording booth, the Los Angeles-based actor says, “I love being alone in the recording booth. I love wearing all the hats while narrating. You’re creating everything from beginning to end in your head, and I love that." Ron Butler's narration is both understated yet focused, which is the right tone for African-American astronaut Leland Melvin's memoir. Butler's voice takes the listener through Melvin's amazing journey of accomplishment. His successes seem staggering, but he doesn't stop to bask in his glory. In fact, it appears he doesn't stop, period. This is a life trajectory that moves from the NFL to outer space, and only Melvin can make that claim. Throughout, Butler captures Melvin's determined and hard-working tone, as well as his appreciation for those who helped give him perspective and support. Listeners who recently discovered the story of HIDDEN FIGURES will find Melvin's work another part of this larger story. CHASING SPACE is an inspiring audiobook of grit and perseverance. Narrator Ron Butler conveys the naïve playfulness of 12-year-old Hoodoo, who was born into a magical family--seemingly, without any magic himself. Butler amplifies the humor of Hoodoo's oft-repeated refrain--"if you didn't know"--with just the right throw-away quality. Butler is also frighteningly believable as the deep-voiced Stranger, a demon who must be vanquished by Hoodoo in order to save his family and community. Elements of life in a small, African-American enclave in 1930s Alabama are brought forth through the delicious text and the immersive narration, with Jim Crow problems integrally woven into the story. Spooky and comical by turns, Ronald L. Smith's atmospheric winner of a 2016 Coretta Scott King Award is terrific family listening. An astonishingly unique historical novel, which begins in Trinidad in the 1940s, this is an example of the best that an audiobook can offer. The two narrators, Ron Butler and Bahni Turpin, are superb choices who move the listener smoothly between the two main characters. Farook and Marcia Garcia are star-crossed lovers who don’t have fate on their side. Turpin evokes the rhythms of English as spoken in Trinidad, lyrical, and rhythmic. Through her confident narrative style, Marica Garcia comes across as a strong, beleaguered young woman. Her trials evoke empathy in the listener. Butler establishes the contorted choices that face Farook as an Indian man who is prevented by racism from marrying his true love. This sprawling tale spans Trinidad and the United States, from the 1940s-1960s. Marcia and Farouk, married but rarely together, share a love that spans decades despite being buffeted by a strict social hierarchy and a need for independence. Ideally-paired narrators Turpin and Butler create an immersive listening experience capturing the characters’ unique dialects, from lilting Trinidadian rhythms to subtle East Indian tones. Narrator Ron Butler clearly and passionately recounts the story of U.S. Deputy Marshal Bass Reeves, a former slave whose law enforcement career negotiated the lawless areas of the Oklahoma and Indian Territories for nearly 32 years. 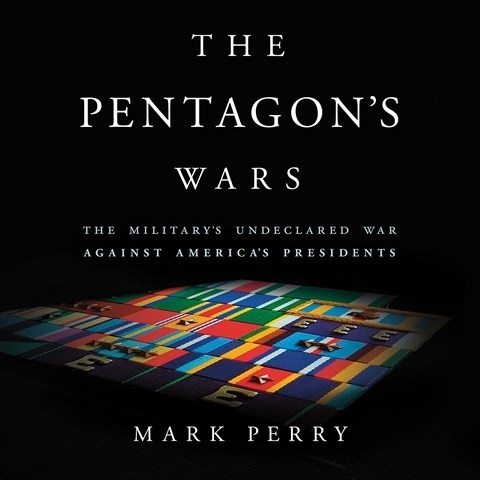 This is not a biography; instead, Burton uses court documents and contemporary newspaper articles to place Reeves's life in the context of Western history. But the presentation is never dry. As he delivers atmospheric narrative and dialogue that often rings true, Butler's skillful pacing and emphasis ramp up the tension and occasional drama of the marshal's encounters with various criminals. A great pairing of narrator and history. The brave soldiers of the 320th Barrage Balloon Battalion are remembered in this fascinating account of WWII. Ron Butler respectfully narrates a remarkable story that most of us have never heard featuring the brave African-American soldiers whose floating screen of armed balloons distracted and deflected enemy aircraft in Europe. Butler's clear delivery is unpretentious, even elegant, as he describes the courage of these young Americans thrust onto the front lines of battle. Describing the shocking disparity between American prejudice and European attitudes of acceptance toward the black soldiers, Butler maintains a dignified objectivity. His rich voice warms in the personal stories of these young men from Virginia, New Jersey, and Ohio. Barry and Carmel Walker, Londoners by way of Antigua, have been married for more than 40 years, but the time has finally come for Barry to choose love over secrets. Told in two voices, this is a provocative contemporary story of a marriage and its unraveling. As Barry, a dapper septuagenarian, Ron Butler charms with his musical tenor. His sense of language and timing is spot on, underlining the rhythm and wordplay of Evaristo's storytelling. In contrast, Carmel's chapters are marked by regret and anger. Despite an uneven accent, Robin Miles offers a convincing, sympathetic portrayal, capturing Carmel's evolving emotions as she reclaims herself. The years fall away from their voices as Barry and Carmel move together toward independence.